On the menu, there are the classic starters such as tuna & spanner crab tartare ($29), lobster bisque ($20), beef carpaccio ($24) and colossal crab lumps ($30). We started our meal with the steak tartare ($28). Wooloomooloo does an Australian inspired steak tartare – with a hard boiled egg, cavier, sourcream – so it’s not your typical French version. It looked very appealing, but the taste did not really pack a punch; it somewhat lacked a certain flavour. Following that, we had a pan seared foie gras and jumbo crabcake. Paired with apple chutney, the pan seared foie gras is very well executed. If you like foie gras, you must order it here. Next, we had the jumbo crabcake. The use of simple everyday ingredients such as parsley, egg, bread crumb, garlic, shallot brings out the natural taste of the crabcake. After tasting it, I could feel the flavours mingling in my mouth: the tanginess of the tartar sauce, the bite of the crab cake, and the crunch of the coleslaw. For main courses, we shared two steaks. The 12 ounce USDA Ribeye ($74) was good, but we preferred the Australian cut, which Wooloomooloo steakhouse is known for. There are so many adjectives that one can use to describe steak: tender, succulent, juicy and flavourful – all of which can be used to describe Wooloomooloo’s 12 ounce Australian Ribeye ($62). This is a very fine piece of meat, and at the price, I think it is excellent value. If you are in a big group, I’d suggest getting the monster 1.3kg tomahawk ($125) with a few sides – like the hash brown ($12), creamy spinach ($12), and sauteed onions ($12) – to share. There are no lack of options when it comes to desserts. We were torn between the bread and butter pudding ($16), lemon & lime pie ($16) and creme brulee ($16). But there was no way I could resist my favourite hot chocolate cake ($25) and souffle ($20). 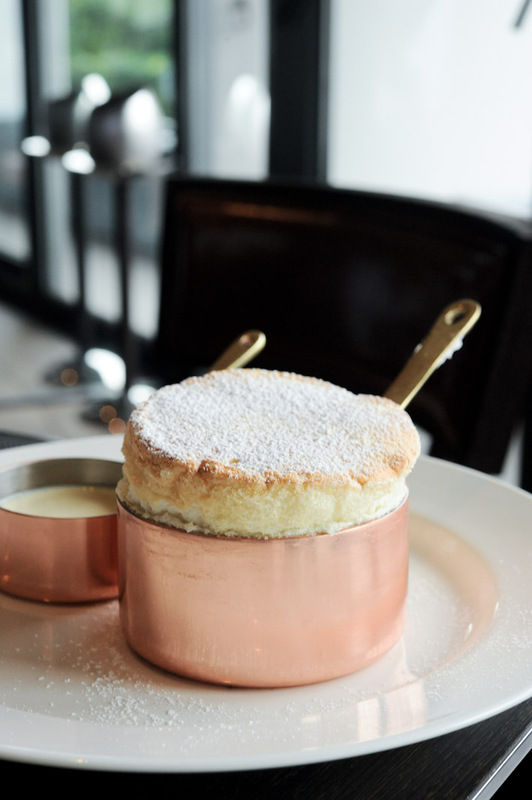 For the souffle, Wooloomooloo does four different flavours – chocolate, raspberry, passionfruit and Grand Marnier – and since we were having the hot chocolate cake, we decided to go for something different. The Grand Marnier souffle that we had was very good – in fact, one of the better ones that I’ve had lately – but it did not get as much attention as the chocolate lava cake. I call this the sore throat inducing dessert. 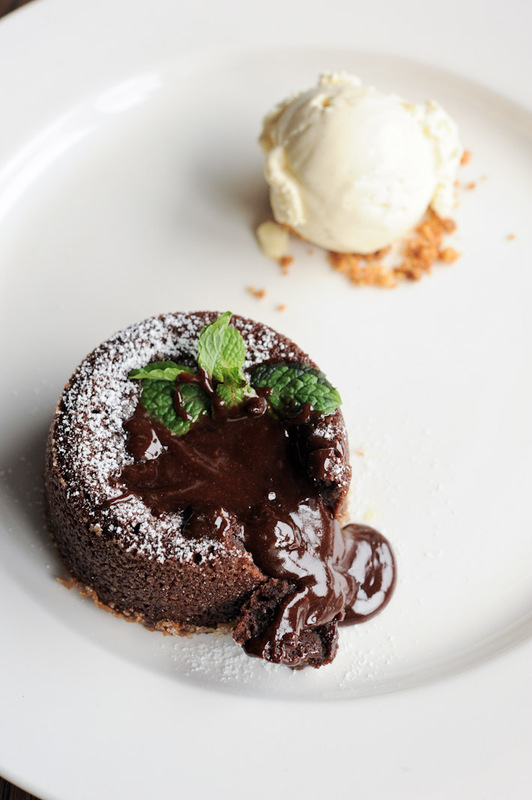 Definitely one of the top five chocolate lava cakes in Singapore. Wooloomooloo, for me, is one of the top mid-range steak houses in Singapore. I wouldn’t be surprised if it becomes one of your favourite places too. Hmmm that steak tartare looks a little … brown, doesn’t it? Practically every other steak tartare I’ve seen is a lot more bright red. NOT VALUE FOR MONEY! POOR SERVICE, NOISY EMBIANCE ! DONT TRY…..